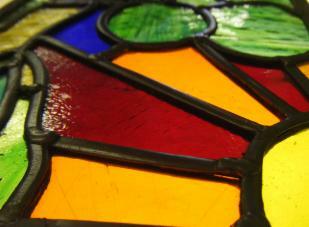 Evening classes and weekend workshops for beginners stained glass and fused glass. Classes are held every Wednesday evening from 6.30pm to 9.00pm and can be joined anytime. Weekend classes are usually held on the last weekend of the month. 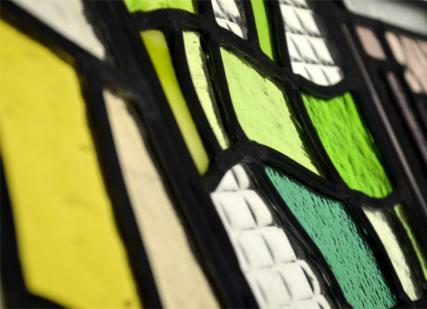 New Dates for Beginners Stained Glass and Fused Glass Weekend Workshops. Terrarium Class information and dates Here. Art deco design for this stained glass night project. 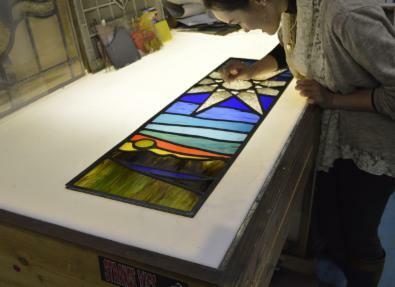 Finishing details are made easy for this stained glass project using a lightbench. Cuttting the glass on the template(cartoon). A weekend workshop working hard in the studio. 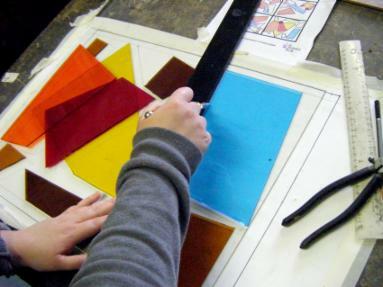 Beginners Stained Glass - 6 weeks / evenings or 2 day weekend, £180. 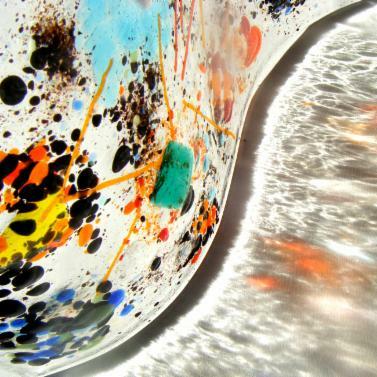 Beginners Fused Glass - 3 weeks / evenings or 1 day weekend, £180. (If any night classes are missed they can carry to the following week). To book a class and place you can buy a voucher here below via PayPal or email rich@rdwglass.com with prefered start dates. The vouchers / gift tokens will be posted to the address supplied. Vouchers are valid for 12 months. 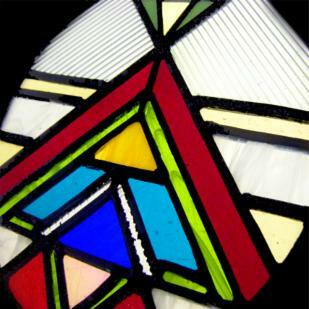 Beginners stained glass project incorporating architectural elements of design. 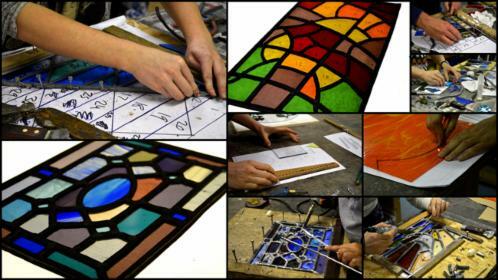 A six week beginners course or 2 day weekend workshop in stained glass. Tuition, materials, glass and equipment supplied. Costs £180. 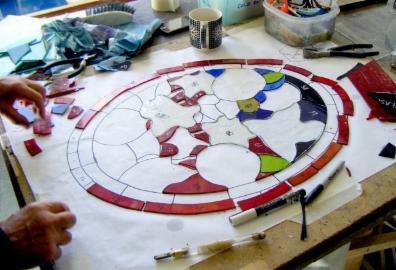 In this time we will make two small stained glass panels. 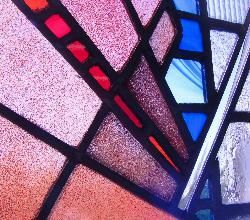 Learn to cut glass from a cartoon (a line drawing of the design), lead up, solder and cement using tools and techniques used in making all stained glass windows. 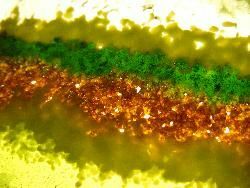 A three week evening course or 1 day weekend workshop learning the basics of fusing and shaping glass. Costs £180, all glass, tools and equipment are supplied. In this time we will make several small pieces of fused and shaped glass. (Tiles, Bowls, Sculptures...). 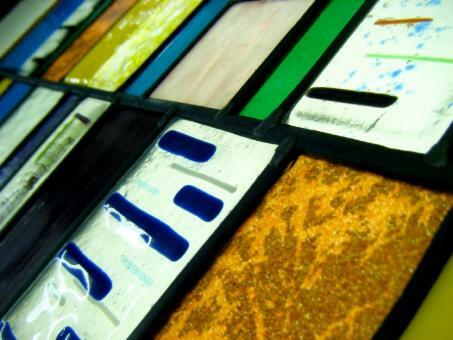 We use Bullseye glass, Spectrum System 96 glass and Float glass. 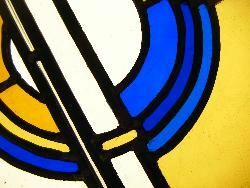 It is best if you have not cut glass before that you attend the beginners class in stained glass. This will give you more practice in cutting. 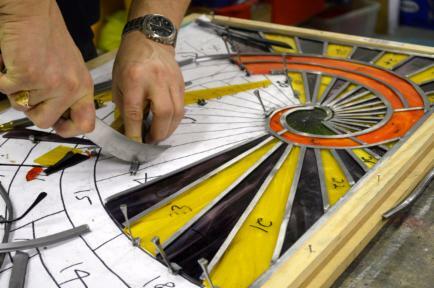 Cutting the glass from a template. Fused glass frit (very small pieces of glass) fused into a sculptural shape. 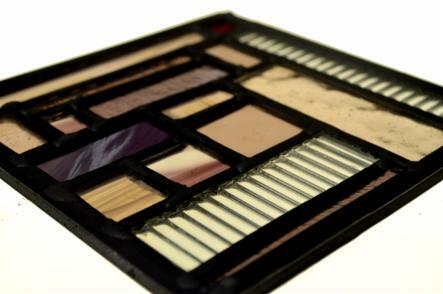 After the initial course has finished you can still attend the evening classes to work on your own projects. 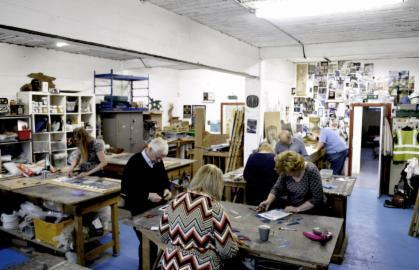 The studio offers space and assistance at £15.00 per evening. Please call in to the studio anytime to discuss or phone/email and state when you would like to start. Group bookings are available and other evenings may be used to accomodate this. Visit the Blog for more details on projects completed, prices, start dates and special offers.